This Dora the Explorer party is sure to be a hit with your little ones! 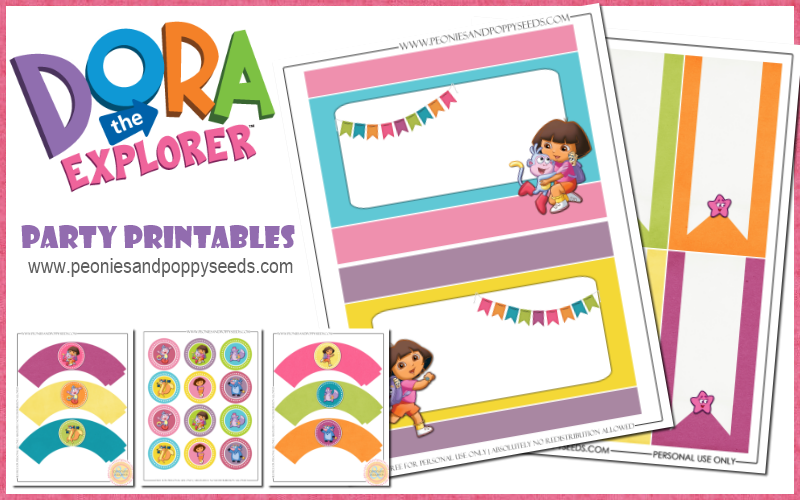 This party set features Dora and her friends, and includes cupcake wrappers, 2 inch party circles, foldable labels, and 5x7 card blanks that can be used many different ways! P.S. These coordinate perfectly with our basic party printable set!